Home / Time to Fill the Stockings…. Ho Ho Ho. December 23rd. 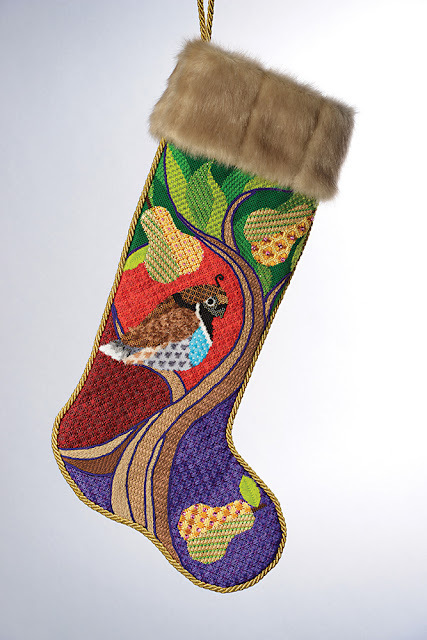 Its almost Christmas and definitely time to fill the stockings! Our Partridge Stockings are back from the finisher and they are gorgeous! We added faux fur cuffs for a bit of whimsy. I bet you can’t guess that the one with the leopard fur is mine 🙂 Always a little different. This was a super fun canvas to stitch. It’s by Tapestry Fair and perfectly painted with fun areas great for stitches! 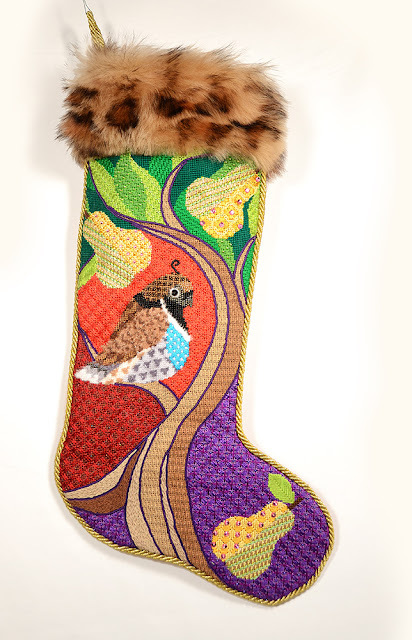 If you’d like to stitch your very own Partridge Stocking you can order online here or by calling us at 410.296.0405. Just can't wait for mine to arrive, they look gorgeous!